The Power of Why changes the way you think. It gives you a new perspective, one that leads to positive change. This is a truly great book. 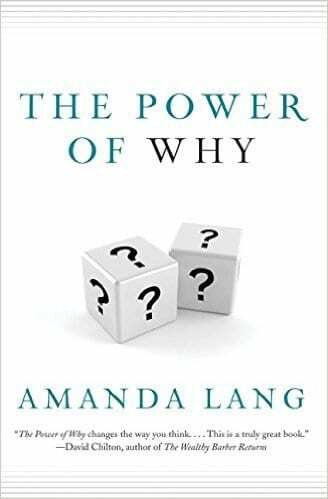 Packed with insights, analysis, and examples drawn from a wide range of individuals and companies, The Power of Why will convince readers of the profound value of the spirit of curiosity. There are books filled with anecdotes about innovation or you can read academic theories about innovation. Neither get you very far. What Amanda has done is offer interesting stories that are linked together in a way that teaches us the theories and just how to innovate. The ability of a company to innovate is critical for survival let alone growth and The Power of Why provides great insights into how individuals can transform organizations and industries. A great read on how to find success. Amanda Lang is a bestselling author and an award-winning business journalist who has been covering business in North America for twenty years. She is the producer and anchor of Bloomberg North on Bloomberg TV Canada, and for six years Lang was CBC’s senior business correspondent, reporting for its flagship nightly news program, The National, as well as the host of The Exchange with Amanda Lang, a daily business program airing on CBC News Network. A popular speaker on the topics of business and economic trends, she lives in Toronto. Follow her on Twitter @AmandaLang. Whether you're a CEO looking to grow your business or a frazzled parent hoping to improve your relationship with your kids, asking the right questions, in the right way, at the right time greatly increases your chances of thinking innovatively so that you can solve problems and spot new possibilities.